It is a great pleasure for us to host Eco Fest – The International Festival of Ecology films – in the frame of the Romanian Pavilion at Expo Milano 2015, a well anchored event within the theme of this year’s universal exhibition: “Feeding the Planet. Energy for Life”. We made our choice to host this festival due to its ambitious goal to make a contribution towards the awareness of environment problems and for educating the public for an ecologist attitude in one’s daily life. We are encouraging as well the production of documentaries with ecology subjects, in order to present the beauty of natural landscapes, biodiversity and natural reserves of our country, all these being already promoted in the current programme of the Romanian Pavilion. We are glad for the presence of the famous and talented soprano Felicia Filip, with a special performance of the also famous Maria Tanase, this representing a “bridge over time”, a subtle mixture of tradition and modernism, in line with the initial concept for the building of our Romanian Pavilion. The central theme of the Universal Exhibition in Milano (EXPO MILANO 2015) is “Feeding the Planet, Energy for Life”. This is a theme full of implications, reflecting the worries and the concern of humanity, confronted now with the consequences on human activities on world climate, with extreme climatic phenomena, having a major impact on the life of hundreds of milions people. Our questions is in the terms of: “either mankind, or nature”. One whitout the other cannot exist. Mankind has to sign the “peace treaty” with nature and interract with same in new terms. Any means are appropriate in order to sent the message for the protection of nature, and when this is sustained by artistic means, the impact is according with the tools. Eco Fest, with this 5-th edition, is already a meeting point for all those sensible people, concerned with ecology issues. The fact that this edition on the festival take place in the frame of Expo Milano, gives an even larger visibility for Romania, a country where the ecologist awareness is becoming more pregnant with each passing day. I wish success to the organizers of Eco Fest and to the environment activists as well. Five weeks ago I have signed in my capacity of President of Romania’s Municipalities association a cooperation protocol with European Ecologist Initiative Association (IEE), represented by Lavinia Sandru. I am happy that we already can cooperate for a first project and we can support Eco Fest. I hope to be partners in the future, at many such events. I imagined recently that our life is like a film festival. Lots of reels in a pile, some telling nice stories and pictures, which we would like to see and see again endlessly and others, less successful , which we would like to pass into oblivion, but also some we would like to erase from beginning until the end, to become traceless. How many reels of each of these categories got the life of our Earth? How many should be kept and how many should be erased? How many reels are still to come? Mother Earth cannot do more than leaving this choice for us. WE are the artistic directors of the Earth’s festival, WE are the directors and also the actors. consist of a valuable archive, for them to carry forward with proud. Our heirs will watch at our past on the screens and will live their present, as we have screened it. The future depends on the present, and WE are the present. The future will be ecologist or it will not be at all! 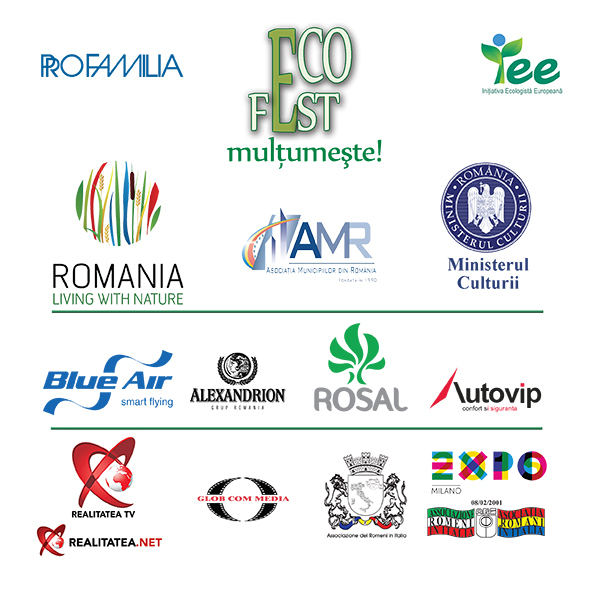 If I would have to make a survey – even a brief one – of the first 4 editions of Eco Fest, I would remind the cities of Romania where those editions were held: Oradea, Braila, Felix Resort and Piatra Neamt, offering to the roughly 10.000 audience not less than 100 films with ecology and environment subjects, originated from all continents. global and particular levels, as well. As for us, to facilitate a prompt and right knowledge of phenomena, to generate firm attitudes and to establish concrete actions in all social, professional and institutional backgrounds, represents the essence of Eco Fest and the guarantee for an imposing international festival. some ten years ago, based in Paris, took over in 2013 the theme of “energy transition of our societies” to address all the political, economic, social and environmental consequence. In partnership with the European Commission, the European Parliament, the French Ministry of Ecology, Sustainable Development and Energy, the Association of Regions of France and major energy groups, EuropaNova got the certification of this cycle debates in the region : “Energy Transition – The big European Challenge” and managed thereby to educate citizens on major environmental issues facing Europe. Five debates were held in the region and allowed for many speakers invited by EuropaNova to explain the main challenges of energy transition at European level, within Member States and local levels. He is a very well-known film critic from Bulgaria. PhD in the Theory of Cinema, Professor of Film History at the South-West University, lecturer for film critic at the National Academy of Film. Jury member at many international film festivals. Member of the Bulgarian Filmmakers’ Association and member in the publishing board of Kino magazine, as well. Founder and Director of LOVE IS FOLLY – Film Festival in Varna, counting for 20 editions. Alexander Grozev was Manager of the National Film Center of Bulgaria, representing member of Bulgaria in the European Association for Media Programs. He published 16 books dedicated to film theory and history and wrote many reviews in publications from U.K., Germany, Russia. 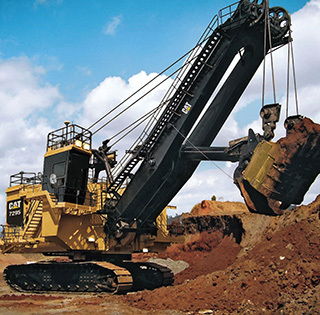 production of more than 70 full length features. He is also Professor Doctor at the Film Faculty of the National University of Theater and Film (UNATC) in Bucharest. which were openings in the local mass media. During this extensive career, he had many activities and positions such as: editor, chief of economy department and sales manager, editor, organizer, chief of economy department and special TV reporter, editor in chief. From 2012 until present he is senior editor for NewsIn press agency and senior editor, organizer and Executive Manager of Realitatea TV – national coverage news and debates channel in Romania. In cooperation with Dima Consulting Group he organized the World Championship of Management (the sole competition of this genre in the world). Stratis Vogiatzis graduated in 2001 from the department of Economic and Political Sciences in the Aristotle University of Thessaloniki and he received his Master degree in Social Sciences at the University of Amsterdam. He worked as a training assistant for culture issues at ‘Las Casas de la Cultura’ in Havana, as a teacher and educator at the gypsies communities in Thessaloniki (Drom) and as a researcher for the educational NGO – IALE in New Delhi. He has been working as a freelance photographer in several assignments in countries such Russia, India, Vietnam, Tanzania, Kosovo, Morocco, Mexico and Iran. In 2003 he participated to the photography book “Kosovo: Refugees Returning Home” published by the United Nations High Commissioner for Refugees. He has recently completed his project “People of the Sea” regarding fishermen in Mediterranean Sea after 4,5 years of shooting in 7 countries. 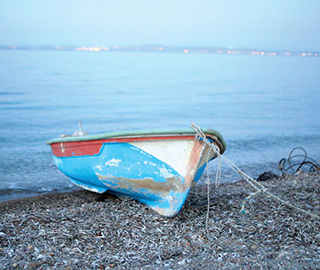 In 2011 he initiated with a team of artists and researchers the Caravan Project, a long term journey around Greece that aims to document and reveal inspiring personal stories. He has directed various independent documentaries, participating at international film festivals, including Eco Fest, 4th edition-2014, where he was awarded for his short films Black Land and Forest of Gold. 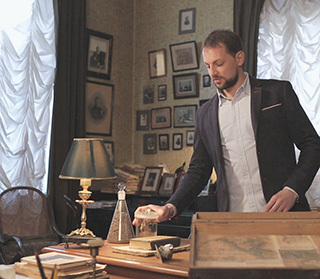 Childhood dreams of becoming a biologist, astronomer, painter, psychologist and owner of a zoo led to studying at the geographical department of Moscow State University. 5 years spent there brought into my life wonderful friends, invaluable life experience and led to the desire to create worlds on film. Next step was VGIK (The All- Russian Gerasimov Film School), where I joined the workshop of renown Soviet director Marlen Khuziev. 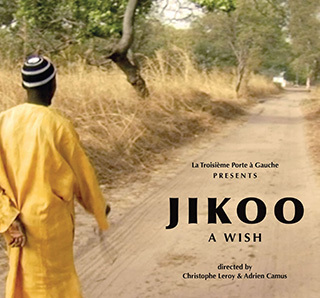 Graduation film “Let’s Go for a Walk” won many prizes at the international film festivals. Fullfeature debut “Lower Caledonia” followed. Current filmography also includes short features, TV series and documentary films. Graduated at Tiffin University – Ohio, USA in International management. Wrote articles and critics aboutmovies for blog and news-websites. (2012-2014). Involved in film making of short films, adverts and coverage videos. Managing and providing subtitles and dubbing services for international cable and satellite television networks. Vice president at Pal20, a company that provides distribution of TV and Cinema legal rights for the territory of Macedonia and Bulgaria. Production assistant in a feature film“working title: Golden Five”. The sustainability of Bulgaria’s energy sector has been developing in the of Maritsa East mining region for 6 decades now. Millions of tons of coals went into coal-fired power stations. The country shines, basks and prospers economically. 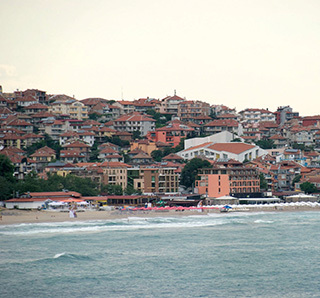 The Maritsa East mining region is a showcase of Bulgarian mining. The reports exude pride and prestige. The lives of ordinary people are behind or rather underlie this information. Houses, thousands of acres of fertile soil and rivers and even whole villages have been buried underneath. And still others are supposed to share the same fate. some of the endemic species, like Ohrid’s trout who is one of the remaining living fossils that you can find only here. 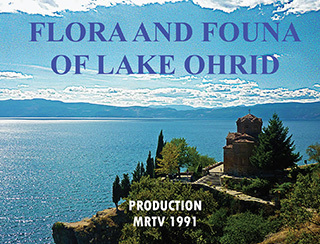 Lake Ohrid is one of the Europe’s deepest and oldest lakes, withan unique aquatic system, with more than 200 endemic species. 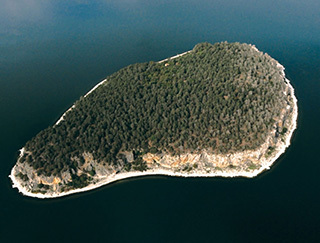 The importance of the lake was further emphasized when it was declared a World Heritage Site by UNESCO in 1979. This is a highly creative short film, combining the arts of animation and sand! 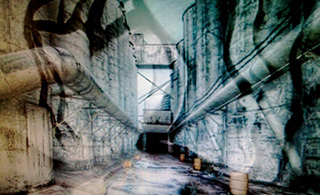 The “Sand Art Animation” technique is the only one making possible a fluid passage within different designed metaphors by the way of progressive models, giving life to “full” and “empty” spaces of a drawing board. The film is a protest towards the cumulative waves of technology which were spread on our Earth from the initial “industrial revolution” up to the nuclear energy era and toxic clouds killing our atmosphere …until nothing clean will remain in our ecosystems! Nature is the only valuable heritage we have to preserve for us and our future. Let’s keep the “green” of the “Blue Planet”! Traditional shipbuilders are few and far between nowadays. Many of them give up. Some are still fighting tooth and nail to preserve and to hand down this precious legacy. One of them is Dimitris “Papórias” Morakis, who lives on the island of Chios. Hailing from the “sandy beaches of Homer,” he has been a traditional shipbuilder for over forty years, since he was 12. 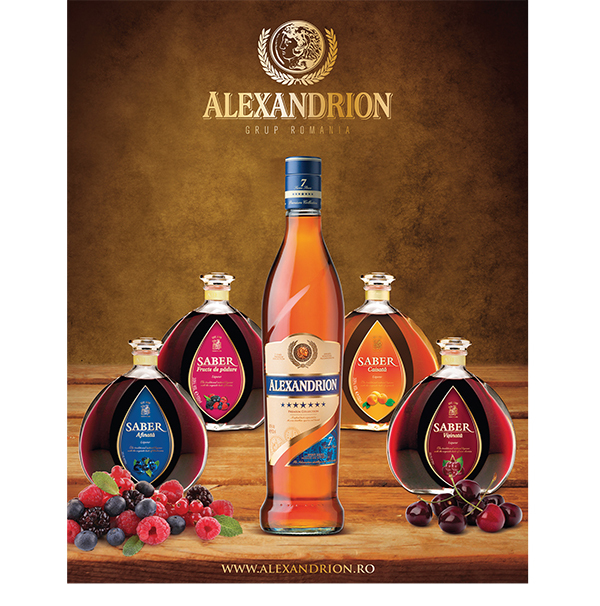 DimitrisMorakis works hard, with consistency and devotion. Ingrained in our tradition, a palpable story of a skill which has existed for thousands of years, but also a multifaceted perspective full of secrets, traditional shipbuilding must be preserved and taught to young people, because the primordial discourse between the tree and the sea, with man as go-between, should not vanish. What kind of menu do we consume daily from a global prospective? 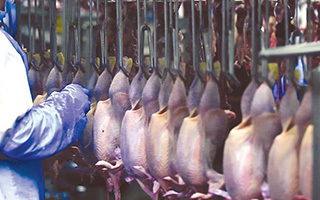 Where does our food come from? How conscious are the consumers? Technological innovations and the explosive development of the agricultural and manufacturing sector in the 20th century offered a long-term solution for the planet’s multiplied population. But today the Green Revolution’s reserves are depleted and there’s a growing demand for quality and consumption of animal-based food products, however, the Earth is not able to feed so many livestock indefinitely. Mother Earth with 100 billion livestock. The question is legitimately raised: how long will this kind of prosperity be sustainable? Are there any alternative solutions? Academician Vladimir I. Vernadsky was born in the 19th century. The prime of his scientific activities falls for the 20th century. But to talk about this outstanding scientist we won’t need to look back too often. On the contrary, for our story to be complete, we’ll look at the present world around us. Peter Romanov, a young scientist, will undertake a sort of Odyssey along the scientific way of Vladimir Vernadsky. He will meet with contemporary scientists from Russia, USA and France who will talk about how Vernadsky ideas, works and thoughts inspire them to new search and discoveries. 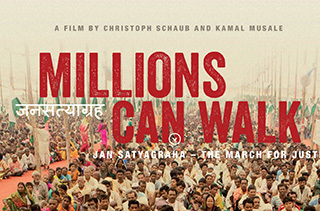 Hundreds of thousands of Indian men and women, landless farmers and the Adivasis – Indian aborigines – underway on foot. On dusty roads, on the National Highway, through villages and cities. Largescale exploitation of mineral resources, the construction of immense plantations and tremendous infrastructure projects have resulted in the fact that these people have been and still are being driven their homes and robbed of their peaceful existence.Now they have come together from all across the land to fight for an honorable existence. The inhabitants of Bakadadji, a village located in a Senegalese national park, are trying to finance fencing to secure their fields from protected species of animals that ruin their crops year after year. In doing so, these farmers are claiming recognition for their rural way of life, to which they are deeply attached. 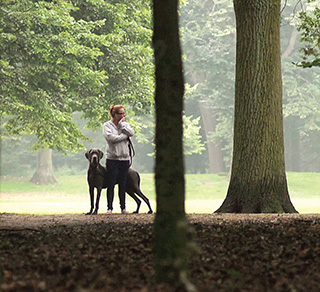 Reflecting the village’s everyday reality, this film talks about a meeting that does not actually take place, as well as how we view rural society, whose voice is barely heard. Filmed over 5 years in the coalfields of West Virginia, Coal Rush follows the relentless battle for justice of a rural Appalachian community against a major American coal company accused of polluting their drinking water. Husband-and-wife team of independent filmmakers Lorena Luciano and FilippoPiscopo shine a spotlight on one of the worst (yet least publicized) industrial contamination disaster in the US. 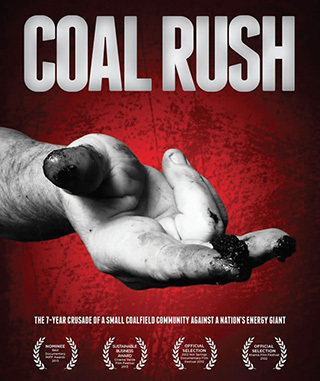 Coal Rush offers an unprecedented look at some of the most pressing social and environmental issues in America today – concerns over toxins in US tap water, rural poverty, corporate malfeasance, and government failings – through the universally-appealing story of a highly controversial legal saga. Duration / Durata: 52 min. 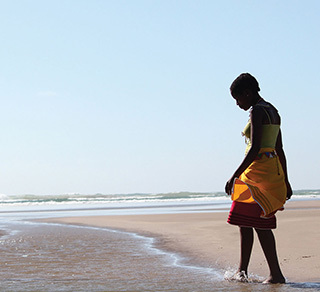 Two cousins from a close-knit rural community have opposing plans to develop their homeland on South Africa’s Wild Coast. Nonhle wants to preserve their traditional Pondo lifestyle and graves through eco-tourism while her older cousin Madiba intends to mine their land for titanium and to support the South African Government’s controversial plans to build a highway through the Wild Coast. Meanwhile, their Pondo King and Queen are dethroned by Government after speaking out against the developments. To fight for their throne the Pondo Royals must take Government to court who have replaced the King with his pro-mining nephew. in coproduction with Omroep Brabant. this piece of nature that lies within a city. In nature only one rule counts; eat or be eaten. 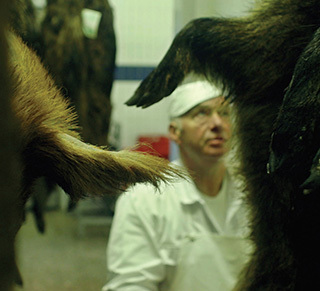 Wild Boar is a poetic, and visually arresting documentary about the curious relationship between man and the rise of the wild boar. The film tells a story about confusion, despair and opportunity amidst the invasion of unruly creatures that won’t abide by manmade rules and laws. Wild Boar is an exploration of a society conflicted with nature and a reflection of the curiosity of human nature itself. Will we eat them or will they eventually devour us?